Papers for How-to and paper proposals are due January 15, 2018, all others by February 15. Please also ensure that the biographical information and photos for all authors are up-to-date in each author’s MW account. Find the proposal listing for which you want to submit your paper and click submit a paper. Use only the styles in the WordPress Editing toolbar. Do NOT include headers, footers, or other HTML formatting that are not available through the WYSIWYG editor. Do NOT use footnotes. Citations are made in the text using the (Author, Date) method. Do NOT use special fonts or typeface attributes. Use only the styles in the WordPress Editing toolbar. Do NOT use columns in your text. The Abstract and Authors are provided from your proposal, but you may enter a variation of the proposal title as your paper title, or enter the same title. Please do not change the fonts used; we will just have to change them back. Follow this paper header with the body of your paper text. You may use the following styles in your text. Headings should be numbered from H2 onwards as H1 is reserved for the Page Title. Normal text is used for most of the text of your paper. Normal text has no extra line breaks between paragraphs or extra returns or enters at the end of each line. Body Text is the same as Normal Text. Normal text does not have indented paragraphs. Blockquote shown as open double quote symbol: for any quotations that exceed two sentences, or for any use of poetry. can have multiple points. Subsequent paragraphs still in the list are indented in the List Paragraph style. have multiple points numbered sequentially. Subsequent paragraphs are indented in the List Paragraph style. Preformatted under paragraph style: quotations from computer code are indented and set off in a “typewriter” face. This distinguishes them from regular text. Remember, NO footnotes. Papers using footnotes may not be accepted, as these all have to be removed during production; there just isn’t time to deal with them. Tables should contain only text or numbers and should not contain fixed width columns or font styles as these will be applied universally using CSS. Follow each table with a caption. Number all tables consecutively: Table 1, Table 2. The following is an example table layout. Number all your figures or illustrations consecutively as Figure 1, Figure 2, etc. ALL PAPERS MUST BE SUBMITTED WITH WEB-READY ILLUSTRATIONS. IF YOU WISH YOUR PAPER TO BE CONSIDERED FOR THE PRINT-SELECTED PAPERS, YOU MUST ALSO SUBMIT PRINT-READY ILLUSTRATION FILES. All papers must be submitted with embedded images. Please do not add images wider than 800px. Name web-ready illustration files with last name of the first author, figure number, and file-type extension. For example, trant.fig1.jpg. Illustrations should be in .GIF, .JPG, or .PNG format. Images for online publication must not be more than 2 MB. Use the ADD MEDIA button to upload and insert your illustrations and images into your paper. If you wish to have your paper considered for print publication, you MUST ALSO submit higher-quality illustrations suitable for print reproduction. Submit all illustration in a single zip file. Name illustration files with last name of the first author, figure number, the suffix –print, and file-type extension: e.g. 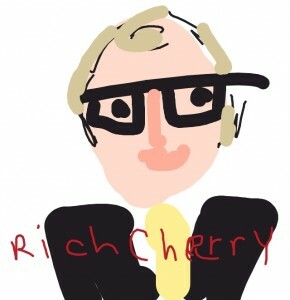 cherry.fig1-print.jpg. Submit raster images (screen captures) as TIFF, JPG, or PNG with limited compression. Take screen captures at the largest size (highest resolution) possible. Screen captures must be a minimum of 1024 x 768 pixels. Larger is better. Line drawings/diagrams/charts must be in PDF (preferred), native format, or other vector graphic file format. End your text with Acknowledgements and References (in that order), formatted according to the following guidelines. Acknowledgements text is the same size as References but does not indent on the second line. List properly formatted bibliographic references to all of the sources cited in your paper. List references at the end of your paper, in a single alphabetical list under the heading References. Do not divide references by type. Wherever possible, include links to online sources. Format references as follows (these are not real references). Jones, C.L. (1998). Museum communication and bibliometrics. London: Oxford University Press. Miller, L., & H. Link. (1994). “New ways to publicize museums.” In P. Phillips (ed.). Museology and you. New York: Bantam Books, 222–234. If text is available online, include URL and date consulted. Bearman, D. (1995). “Standards for networked cultural heritage.” Archives and Museum Informatics, Cultural Heritage Informatics Quarterly 9, 279–307. McKenzie, J. (1997). “Building a virtual community.” In D. Bearman & J. Trant (eds.). Museums and the Web, Selected papers from Museums and the Web 97. Pittsburgh: Archives & Museum Informatics. 77–86. Kren, E., & D. Marx. (1998). “A virtual fine arts museum on the web.” In D. Bearman & J. Trant (eds.). Museums and the Web 98: Proceedings. CD ROM. Archives & Museum Informatics. If a text is available online, include URL and date consulted. To cite a website in your text (but not a specific document), it is sufficient to give the address (e.g., http://www.apa.org) parenthetically. All references to websites begin with the same information that would be provided for a printed source (or as much of that information as possible; e.g., author, editor, title, publication date, version number, update date). Because documents on the Web may change in content, move, or be removed from a site altogether, follow the date of publication (and last update) with the date a site was consulted. Papers using non-standard citation formats will be returned to the authors for correction and may not be published. Please note the difference between the printed papers from Museums and the Web and those available online. Be sure that your citation reflects the version of the paper that you consulted. Length – Recommended length of a paper is 5,000 words (longer may be considered). If in doubt, consult the co-chairs of Museums and the Web by e-mail to info [at] museumsandtheweb [dot] com. Quotes – Set off quoted passages of more than 40 words by indenting the left-hand margin, as a block quotation. We follow the AP Stylebook for technical terms. Use “Web,” not “web” in terms with separate words: Web page, Web address, Web feed. But webcast, webcam, webmaster, website. Use online; but note e-mail, e-book. Do not use punctuation after headings, like ‘References:’. Remove it. Web addresses: Cut and paste Web addresses rather than retyping them. Use North American decimal style for money. Please review your paper carefully before you submit it. All MW papers are published in print and online before the conference. Author’s changes are not permitted in this compressed time frame. Papers for How-to and paper proposals are due January 15, 2018, all others by February 15. If you have not submitted a paper according to these Guidelines by the appropriate ddue date, you will forfeit your place on the MW program. Submit your paper, biography, and photograph using the links on your Profile page. Only the primary author can submit a paper associated with a given proposal. Your paper abstract is linked from your User Profile page, and also linked into the program pages. If you need to send subsequent files, use the file upload form. Do not e-mail your paper (files get lost that way). Papers sent by e-mail will not be considered submitted. Your paper was prepared originally for the Museums and the Web Conference. You have the requisite rights and permissions to make this license, and that you have, specifically, obtained any and all required permissions from copyright holders for the reproduction of any included illustrations, tables, or extended quotations. In addition, Museums and the Web has the right of first publication of this paper, in print or electronic form. Museums and the Web may publish this paper on the Web, and/or CD-ROM, and/ or in paper format as part of the Proceedings and/or Selected Papers of the Museums and the Web Conference. This paper may subsequently be issued in other paper or electronic forms as determined by Museums and the Web. Museums and the Web may grant permission for others to use or republish this paper in its original form. However, you retain copyright in this work. You will credit Museums and the Web as the original publisher, and include a full citation to the original publication and link to the text on museumsandtheweb.com, in any future publication or distribution. It is the author’s responsibility to obtain written permission for all illustrations included in your paper, any quotations from unpublished material, or any quotations in excess of 250 words in one extract or 500 words in total from any work still in copyright. You must also have permission to publish all tables or poems from unpublished or copyrighted material. Author Bio: for each author, even if we have one from previous conferences. Each author’s biography should be in a narrative (paragraph) form and not exceed 500 words. This is used on the conference website and (edited) in the Authors section of the Selected Papers. Each author should click Update Profile and complete the Biographical Info section. Author Photograph: for each author. Each author should click Update Profile and complete either the Gravatar section to associate their image with their profile, or upload a web-ready image (.jpg, .png, or .gif) that is square and at least 300 by 300 pixels. Speakers are urged to consult the presentation guidelines when preparing for Museums and the Web. All papers must be original and available for publication in the online Proceedings on the conference website and the hard-copy Selected Papers. Museums and the Web will publish the Web version of each paper received by the deadline and formatted according to these Guidelines for online publication as part of the Museums and the Web Proceedings. A selection of papers submitted according to the Guidelines and with illustrations suitable for print publications will be chosen for the Museums and the Web: Selected Papers. Please note that the EDITOR OF THE MUSEUMS AND THE WEB CONFERENCE PROCEEDINGS WILL MAKE THE FINAL SELECTION OF PAPERS TO BE PUBLISHED. PAPERS THAT DO NOT FOLLOW THE GUIDELINES WILL NOT BE PUBLISHED. Thank you for for following these Guidelines. Your help ensures that we will have published proceedings available at Museums and the Web. Contact the Conference co-chairs, Nancy Proctor and Rich Cherry, at info@museumsandtheweb.com.